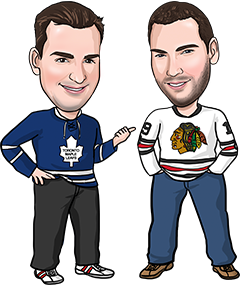 We’re located in Canada and we get questions like these all the time – “Hey, what are the best NHL sportsbooks for Canadians?” or “What are the best Canadian NHL sportsbooks?”. The truth is your definition of “Canadian” determines the answer. Are you interested in which sportsbooks cater to the Canadian market particularly well or do you simply want to know which sportsbooks are great for NHL betting and are located in Canada? We’ll answer both questions here. This is going to be a short list. Currently all but one of the best online NHL sportsbooks are located outside of Canada. The exception being Sports Interaction, which is the only sportsbook located in Canada which we recommend. Sports Interaction servers and offices are based out of Kahnawake, a native reserve just outside of Montreal. They were the first sportsbook to be licensed and regulated in North America, under the authority of the Kahnawake Gaming Commission, and they’re allowed to accept bets worldwide. Excel at NHL betting options – First and foremost, any sportsbook that makes this list needs to have a solid NHL section of their site and, in general, have lots to offer hockey bettors here in Canada. That could mean better than average odds, lots of prop bet options, great hockey live betting, etc. Allow Canadians to wager in our currency – This is important to consider for us Canadians in order to reduce foreign exchange fees and eliminate other issues like currency fluctuations – typically against the US dollar. Most sportsbooks in the world only offer betting accounts in US dollars, something most Canadians would care to avoid. Why? Well, converting money from US to Canadian dollars and back costs money and almost all credit cards in Canada will tack on a 2.5% fee to do it. You should trying to reduce costs associated with depositing and withdrawing money wherever possible and that’s why it’s a good idea for Canadians to bet in our currency. Offer popular deposit and withdrawal methods – Sportsbooks on this list need to offer solid funding options for Canadians – whether it’s popular eWallets like InstaDebit or iDebit – or just making it easy for Canadians to deposit with their credit card. So which sportsbooks of the thousands online do the best job of catering to NHL sports bettors in Canada? We like 3 of them a whole lot. Which one is best for you depends on your specific needs – see our detailed NHL sportsbook reviews page for more. Below are some reasons we like these particular bookmakers. See our best sportsbooks for Canada page for even more information. Won’t limit winners or close winning accounts. Ever! Super quick payouts – I routinely have withdrawals processed and deposited to my InstaDebit account in under 5 minutes. I’m not kidding. Sports Interaction is located in Canada and caters pretty much exclusively to this market. It’s a solid bookmaker we highly recommend to Canadians because they offer all the betting options – hockey and otherwise – which we care about. Given Sports Interaction is located here, they can easily lay claim to the top Canadian NHL sportsbook.